"Dr Lisenby and staff are fantastic. Always accommodating and treat you with a smile. I have recommended this office numerous times. Both of my children love this office." "We have had a great experience with Dr. Lisenby! My daughter is very comfortable coming here, and always knows exactly what is being done. Everyone is friendly and helpful. Wait times are minimal. I have recommended Dr. Lisenby to several of our friends." "Dr. Lisenby and his staff have treated my family for years. 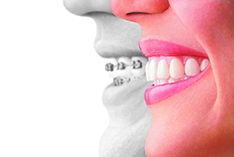 We have done traditional metal braces and Invisalign . I am now in the end of my Invisalign treatment. All the kids teeth look great! Would recommend Dr. Lisenby and his friendly staff to anyone ."